At First Presbyterian Church, we call ourselves a family. We are committed to building friendships and fostering diversity in our community. Our faith is always growing as we worship, learn and serve the wider Warren community. Our congregation was formed in 1943 among the growing Presbyterian community in Warren. The original church building was on Cunningham Street in Warren, but when the congregation outgrew their sanctuary, First United Presbyterian Church moved to the current location on 12 Mile Road in 1965. In 1998, the property behind the church was sold to accommodate the new Village of Warren Glenn senior living community. As Presbyterians, we believe that God loves us out of grace, not because of anything we say or do. The grace of God in Jesus Christ is more inclusive, forgiving, and loving than any of us can imagine. We would love for you to celebrate this good news with us. 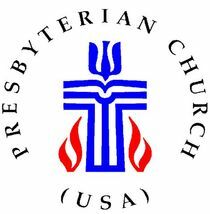 We are members of the Presbyterian Church (U.S.A.) through the Presbytery of Detroit, and we celebrate our connections to Christians around the United States and the world. You can learn more about what it means to be Presbyterian here. First Presbyterian Church of Warren is a welcoming family of God following Christ's teaching and putting faith into action. Learn more about us in the following brochure. Why do we LOVE our church?